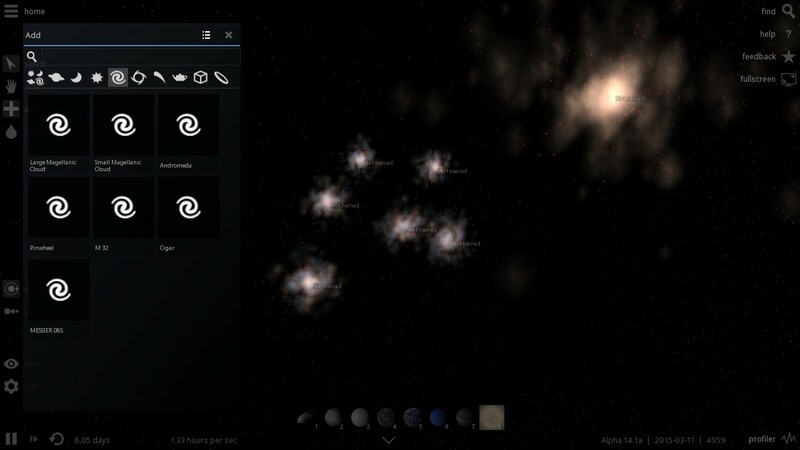 Hello, whenever click on a galaxy from the list, it always look the same, all except for M32, but all spawn with the name "Not Named". In the screenshot below, I placed one of every single galaxy in the list, as you can see, only M32 actually generate correctly, but still without the correct name. This is happened to me as well. the differences is that every galaxies, including m32, are all the same...!! c'mon... you gotta be kidding, right?